Description: Want to teach students about comparing and contrasting two different concepts or items? 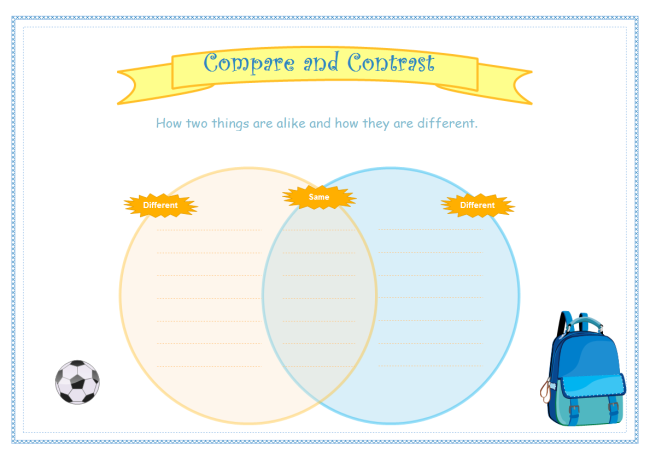 You will want to use this compare and contrast venn template. Unlike the venn chart that you search in Google, this one has higher quality and more visually pleasing. It a perfect template to make ppt in class.